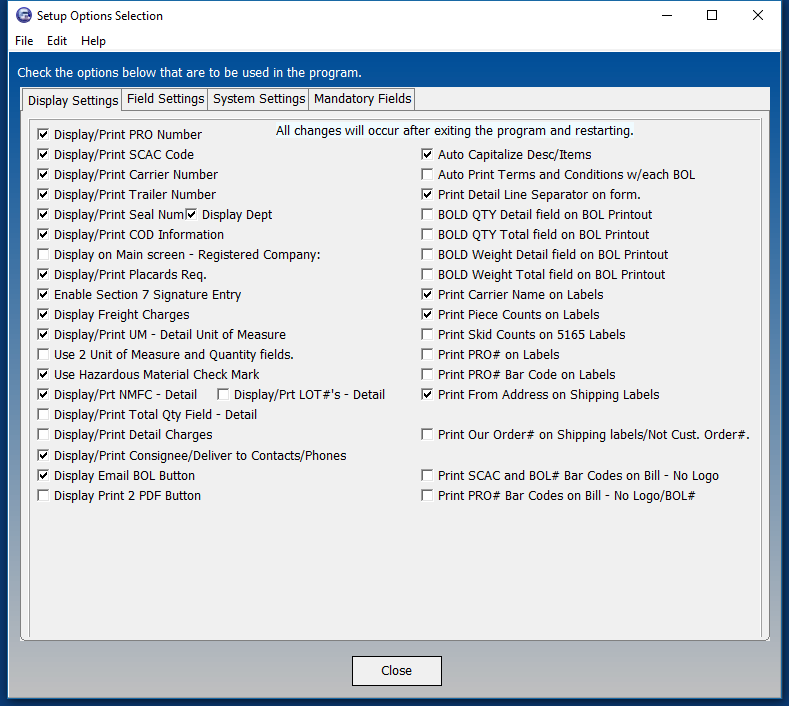 Bill of Lading Software from StarreSoft - Print all your Bill of Lading needs directly to your PC printer - Free 30 day Trial Download Available - See for yourself. Fast, Simple, and Easy to use. 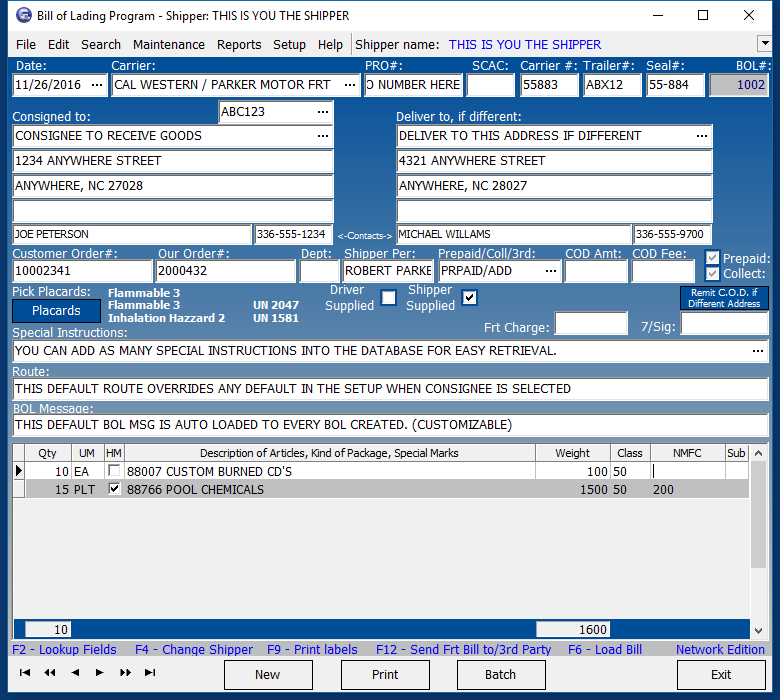 The Star Bill of Lading (SE) Single User Edition program is capable of printing all of your Bill of Lading short form requirements to a standard InkJet or Laser Printer. It saves you Time and Money every time you use it. No more Expensive Forms to purchase. No more hand writing or typing to a form is needed. 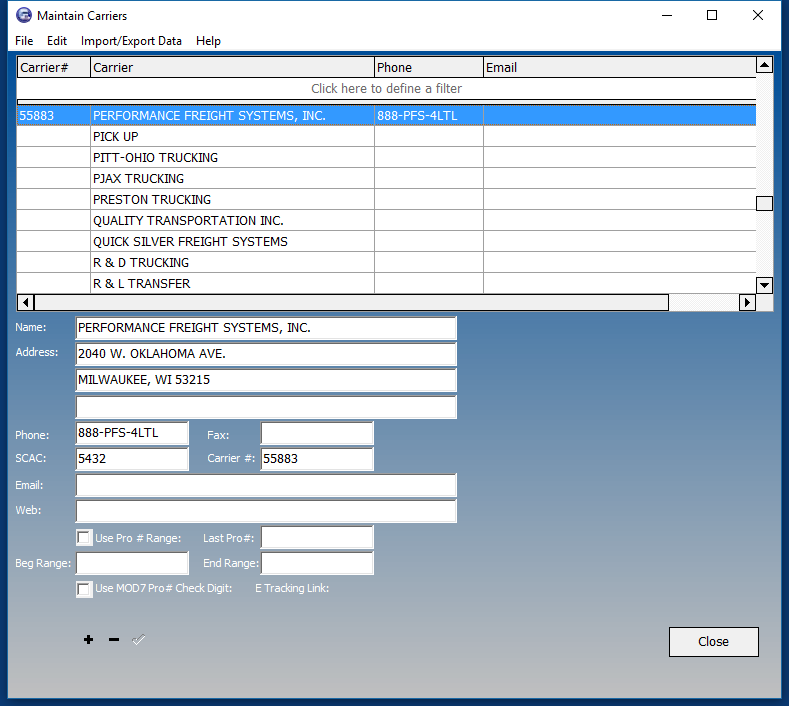 Simply fill in the product shipment info, select a trucking company, click on Print and you're done. There is a default number of copies that you define. It can't be any easier. The software keeps a log of all your BOL's, for research purposes or to reprint. You can also Copy/New. This creates a new BOL from a copy. There are many features to help you in this process. Please take a moment to download and install our fully functional 30 day free trial. Registration/Purchase is only $199.00 usd. You will save that much on one order of forms. Give it a whirl, as it is FREE for 30 Days. - Click on the Downloads Link to obtain a Free Trial Version today. Listed below are many of the features that are included in this fine software product. * Prints to standard Letter or Legal sized paper. 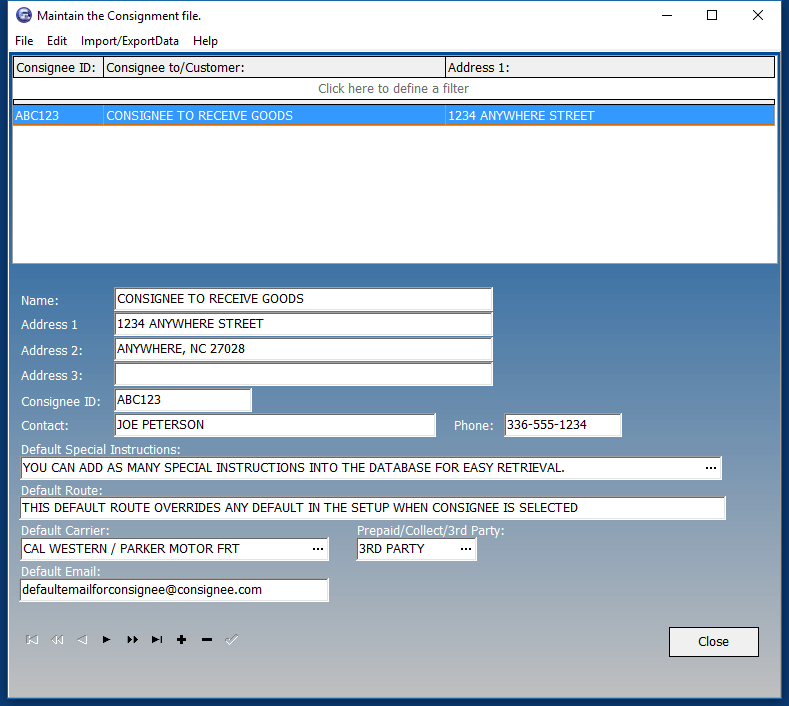 * Stores Consignee Information for easy retrieval. Includes Quick Add function for easy addition. * No more 5 copies of different trucking company software packages just to print Bill of Ladings. Use this one for all your shipments. * Custom Modifications are available to fit your personal/company needs. * Multiple Deliver to’s assigned to Consignee. * Multiple Qty's and UM in detail section, 1 skid, 25 pcs, etc. * Prints Shipping Labels - Using Avery 5168, 5163, 5164, 5165, 5526, type labels or Bar Code type printers. 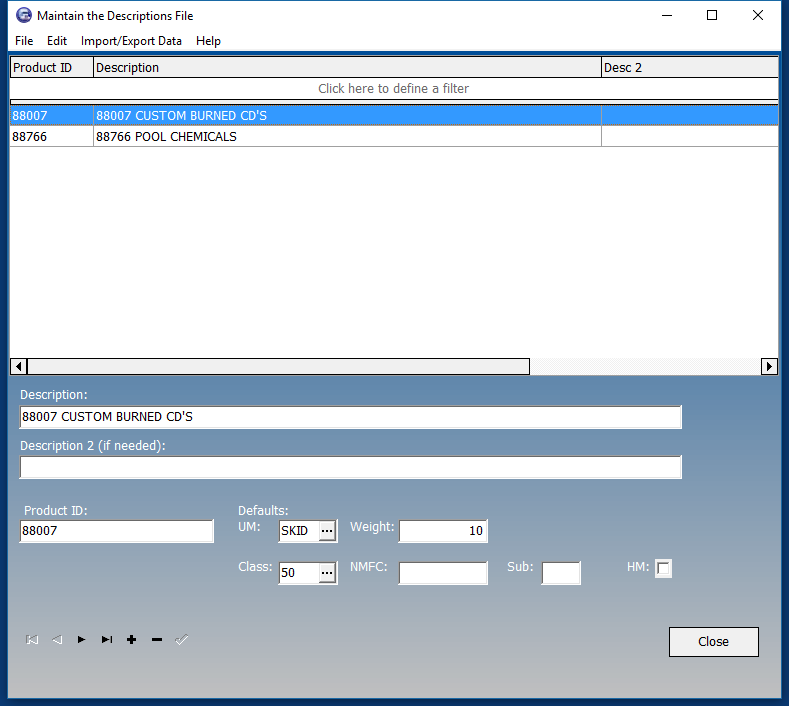 * Special Instructions database - Defaults by Consignee. * Routing Information - Defaults by Consignee. * Prints up to 6 copies at a time. * Print Blank BOL’s - Just in case. * Send BOL's via email. * Send Shipment Tracking link via email to Consignee. * Customizable field display. Only display fields you use, remove the ones you never use. 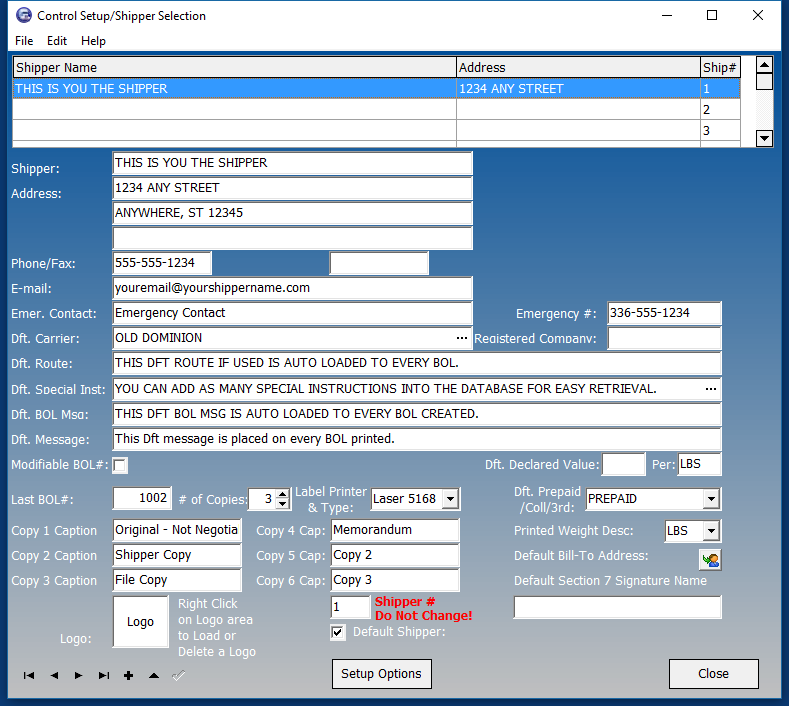 * Copy/New BOL Creation - Stop re-keying the same info over and over again. * Reports/Lists, Daily Manifest, Consignee Manifest, BOL report, Shipping report, Daily Carrier Manifest, along with database file listings. * Add-Ins available for more options. * Send Reports to Excel Database for further processing. * Ability to place Graphic Logo on BOL printout. * Print to Dot-Matrix printers on Pre-Printed Forms, or on multi-part carbonless paper. - Pre-Printed Forms available for purchase. * Carrier Edition Available - This is a customized version that is available for Carriers only. * Windows XP, Vista, W7, W8, and Windows 10 Compatible. 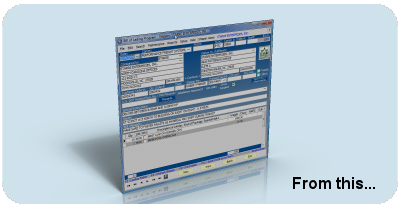 All of our software comes with a free 30 day fully functional trial. This will allow you to fully try it our to see if it is the right solution before purchasing. When you decide to purchase, you can just return to this site, and pay for it using one of many different purchase options. Just visit our on-line store for more details. Custom Modifications are also available. Just Call us at 336-734-9101 to discuss your requirements. You can fax us at 815-301-9385, or, just send us an email to support @ starre.com Contact us any way you wish, as you will receive an Estimate for the mods/changes. No pressure involved. 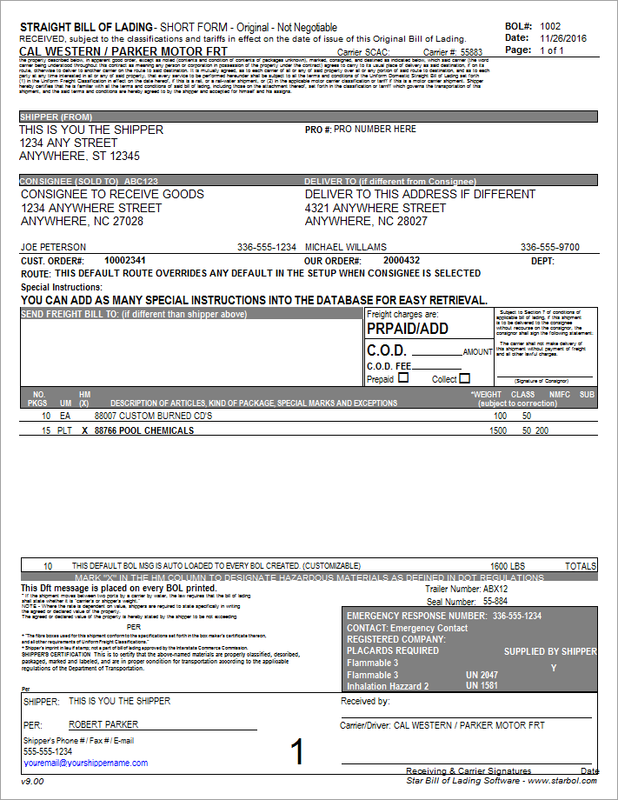 Purchase Pre-Printed Bill of Lading forms for this software. None of our software products contain any Spyware, Viruses, or anything that would cause any harm to your systems. We also do not add any other softwares during the installs offered by many developers as add-ins during the installations of our products. What you do receive is our software and ours only. 1993 - 2019 Starre Enterprises, Inc. All Rights Reserved.